In this guest blog post, Diamond Systems explains considerations to use Computer Modules for an application inside an emergency response vehicle. Diamond Systems is a valued member of the Toradex Partner Network providing off-the-shelf ready-to-use Carrier Boards for Toradex Modules. For almost three decades, Diamond Systems has developed rugged embedded computing solutions in a broad range of applications. This experience, matched with the increased popularity in CoMs (Computer on Modules) is providing innovative ways of meeting our customers’ application needs. An example of this is a recent customer Diamond worked with in Italy on a unique embedded solution that revealed great insights into why CoM-based solutions are so effective. Access to data is critical for first responders, especially so with up-to-the-minute traffic data, GPS location and mapping, wireless internet, and access to still and video image capture, all needed within a vehicle. 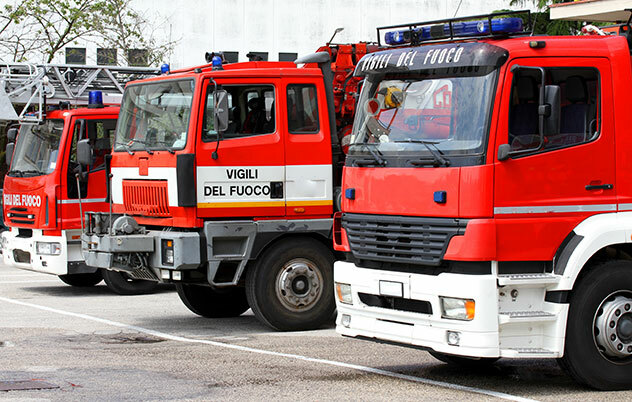 Such was the need of an Italian municipality requiring a cost-effective, rugged embedded computing platform with long-life and scalability for its emergency response vehicles. The solution had to be small, high performance, consume little power, be rugged enough to withstand shock and vibration from moving vehicles, and meet the industrial operating temperature range of -40oC up to 85oC . Moreover, the platform had to provide multiple video output support for multiple configurations for the vehicles which would be using a variety of in-dash display types to access data. A key driver of any embedded computer’s lifespan is the life expectancy of the processor. For this reason, a CoM-based SBC is an ideal choice for a long-life solution. Since CoMs provide near-identical functionality in identical physical configurations, an obsolete processor can easily be replaced with a new one to extend the product’s lifetime, often with the added benefits of improved performance, lower cost, and/or lower power consumption. In order to realize this benefit, a CoM form factor must be selected that offers multiple options of long-life processors or which enjoys the long-term commitment of participating vendors. The Toradex Apalis form factor meets both of these requirements. The availability of multiple processor modules also gives a CoM-based SBC great configuration flexibility, enabling it to serve a wider range of application needs. Selecting a CoM-based SBC enabled the customer to employ a solution that effectively met their computing needs and cost requirements for a variety of vehicles and applications. In this case, the solution included a Diamond Systems Eaglet CoM baseboard coupled with Toradex Apalis Arm® CoMs. The Eaglet baseboard is equipped with 4 analog inputs, 4 PWM, 8 GPIO, PCIe MiniCard socket and a micro SD socket in a compact form factor of 4.0” x 4.0” (102mm x 102mm). Eaglet’s versatile VGA, HDMI, and dual channel LVDS display options further increased the flexibility of the platform to support a wide range of in-dash display options. Toradex’s Apalis Arm modules are available in a variety of processor/performance/memory capacity options, allowing the customer the ability to tailor the performance and cost of each configuration to each new project. 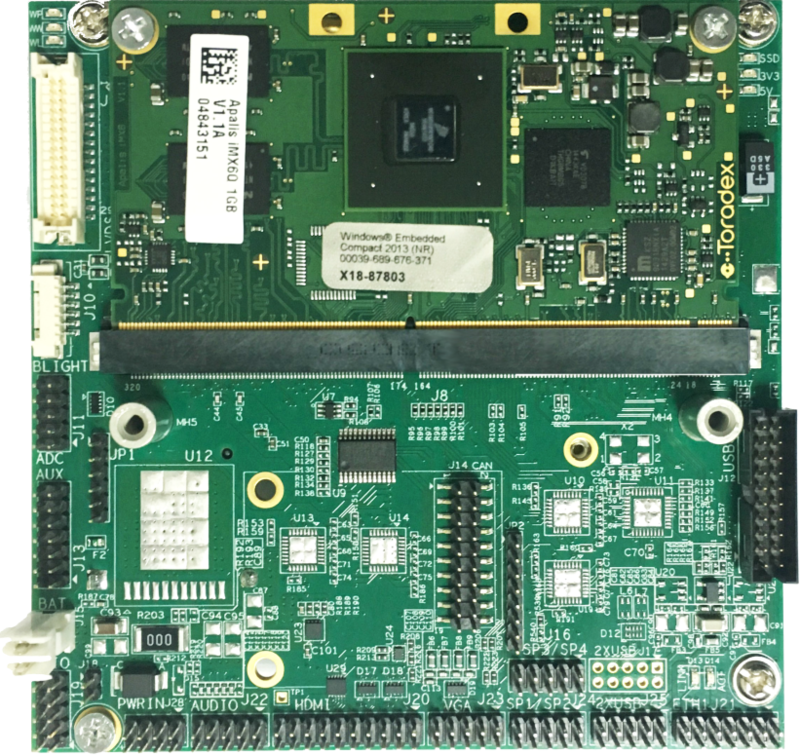 For our customer, the two-board combination of a baseboard and an Arm-based CoM provided a flexible, off-the-shelf, scalable, long-life complete embedded system that provided a variety of standard and industrial I/O features. Diamond also provided an off-the-shelf embedded Linux distribution for the product that includes all the extensions needed to support the full range of I/O features on the baseboard. Eaglet supports the Apalis iMX6, Apalis T30 and the Apalis TK1 Toradex family of modules. The Apalis form factor, as well as all processors used on the modules, have long life commitments from their suppliers, ensuring long life availability of the complete product. The Italian municipality described in this application used the Apalis iMX6 with a NXP®/Freescale i.MX 6 Quad core Cortex-A9 Arm CPU with a processor that runs at 1.0GHz, has 2GB RAM, Gigabit Ethernet Port, 4 Serial Ports and 12C, and SPI in addition to many other features and a guaranteed long life through 2028. With three different modules to choose from, selecting the one that best meets the requirements is not a task. The table below shows the highlights of each module. Toradex’s pin-out is the same for each of the three Apalis CoMs, allowing them to be changed out for a system upgrade, or to extend the lifespan if needed. While this application did not require custom options, Eaglet is highly customizable with options such as a hardwired configuration (no jumpers) and conformal coating. A low-cost expansion socket with I2C and SPI interfaces enables the addition of Diamond or customer-designed low-cost, custom I/O modules to add A/D, GPIO, and other I/O features to the board. The compact Eaglet and Apalis iMX6 Arm SBC readily met the needs of the first responder vehicles and provided the rugged (shock-resistant and demanding operating temperature), compact, low power and cost-effective solution this customer needed, yet the scalability this solution affords could easily be extended to a wide range of applications. The Eaglet SBC provides municipal vehicles with a means of sharing important data including a variety of displays as seen above. In some cases, displays show information relevant to first responders’ immediate location via cameras, with GPS mapping, to assist in showing what other safety vehicles are nearby for backup, or for showing when the next train comes into the station.